So yet again I’m sat here wide awake at 2.50am. I’m tired, I’m always soooo tired, but that doesn’t mean my FASD brain is going to say ‘oh we’re tired now Lee, let’s get some sleep before our busy day tomorrow. So I end up being awake at 3am, like right now, feeling like I’m on autopilot writing this blog, my body hurts, legs, head, eyes, but my brain has yet again told me to write a blog right now, because I will forget what I want to say, so now I’m sitting here, phone in hand typing away with whatever word comes next, my eyes are blurring, and I’m not actually reading what I’m writing, my brain is in control of my thumb and that’s about it. 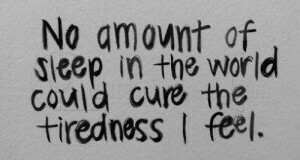 This constant tired, restlessness is exhausting and draining, I’ve tried many Technics but not found one that helps now I’m an adult, apart from melatonin, but that only keeps me assleep once I’ve actually gotten to sleep in the first place. As a child music would help me sleep, but now it keeps me awake. We are always so tired. I think my brain is satisfied we have written this blog now, Time to try and get sleep, not rest, just sleep. Thanks for this. I am a parent of a child with FASD. She sleeps okay with the melatonin most nights. But I related to the if my brain tells me I have to do it now then I have to do it now or I will forget line – both my girls are like that. I hope you slept.